Program: New pool and terrace for walled courtyard. 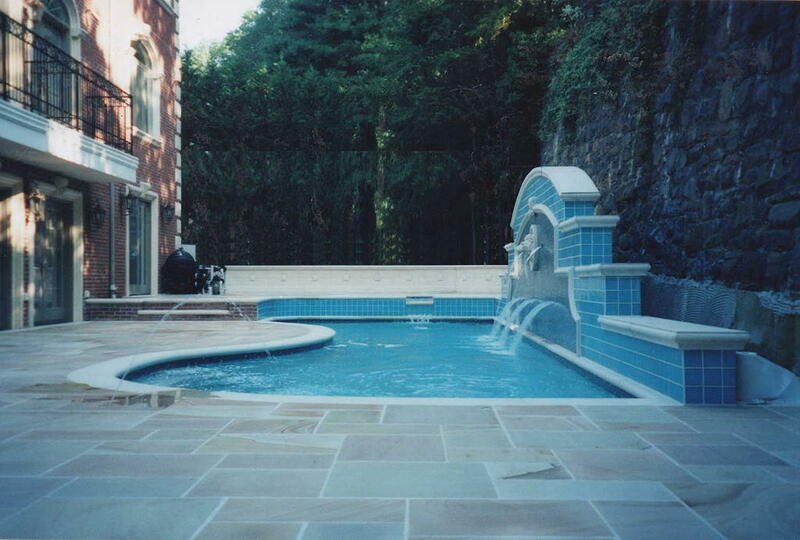 Features include raised spa, integral continuous swim jet, classic fountain wall with glass tile veneer with cast stone treatments, wall caps and coping. Terrace is natural stone with integral fountain jets.